The ABUS 88 Series PLUS Brass Padlocks have a chrome plated brass body and a double bolted, hardened alloy steel shackle. 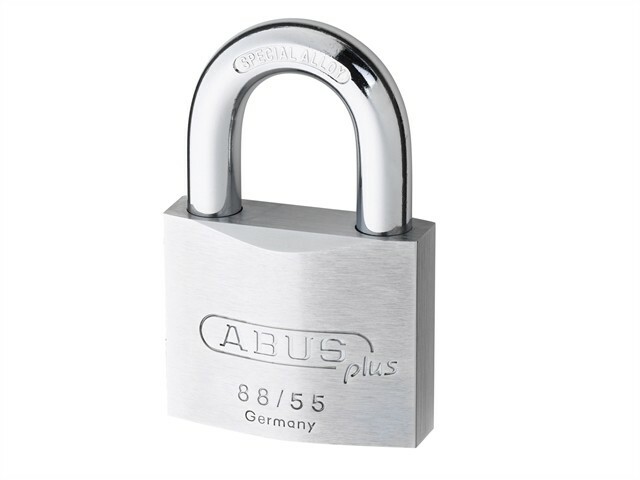 Fitted with the ABUS PLUS disk cylinder, this offers the highest protection against drill, pull and manipulation attacks. Ball bearing locking helps prevent lever and torsion attacks. 250,000 key differs, each lock supplied with 2 x PLUS keys and card. Can be made to sample key or master-keyed on request. 88RK/50: rekeyable mechanism, allows locks to be changed to new key.